Five Core Components create our Human Trafficking Prevention Mode, and you have made it possible to expand this successful method of prevention. 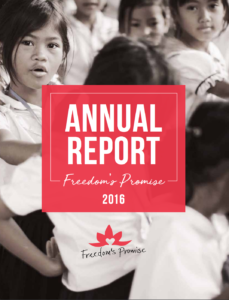 We are celebrating the impact made on lives in Cambodia in 2016! Read more of the report above. Thank you for your partnership!